Back in January 2010 a US Airways flight was diverted for the security concerns raised by a Jewish teenage boy putting on tefillin (phylacteries). I blogged about the Kentucky-bound airplane from New York that had to make an emergency landing in Philadelphia because the 17-year-old was wrapping his arm and head with the black leather straps and boxes used by Jews during the morning prayers. The incident was actually quite humorous once it was determined that it was a misunderstanding and not an actual threat. My Dr. Seuss-inspired poem ("Oh, the Planes Gonna' Blow") about the tefillin take down of the plane was circulated widely around the Web during the days following the incident. Now, it appears that tefillin has the capability to not only divert airplanes but also boats. The JTA.org reports that "an Israeli putting on tefillin set off a bomb scare on a New Zealand ferry. The captain of the inter-island ferry, who believed the boxes and leather straps looked like a bomb, reported his concerns to police during Sunday's voyage between Wellington and Picton, New Zealand's two main islands. Police detained the Israeli and his three fellow travelers when the ferry docked in Picton, where they were questioned and released." I wonder what the next mode of transportation will be that reports a security threat when a Jewish person starts to pray. Truthfully, this can be avoided with some education. 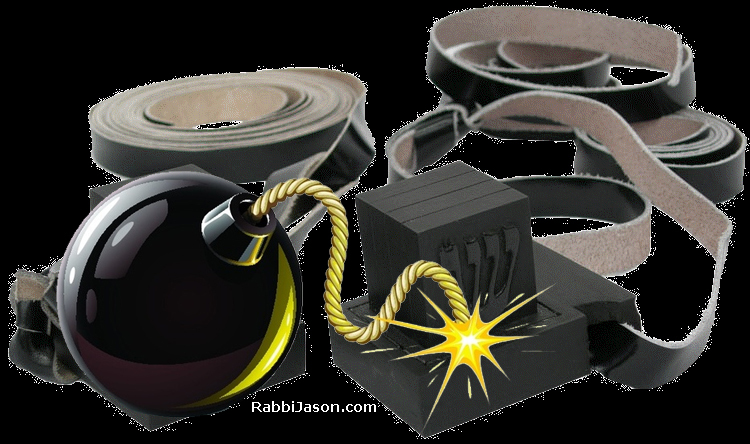 Security personnel should be briefed about tefillin, which have been around for thousands of years, so they are no longer mistaken for bombs.